As one of the initiatives organised to commemorate the life and work of the great designer and architect Vico Magistretti 10 years since his death, the Italian Embassy in Jakarta, the Italian Institute of Culture in Jakarta and the Vico Magistretti study museum Foundation will present the exhibition “Vico Magistretti. Archive on the Road” from 9 September to 7 October. 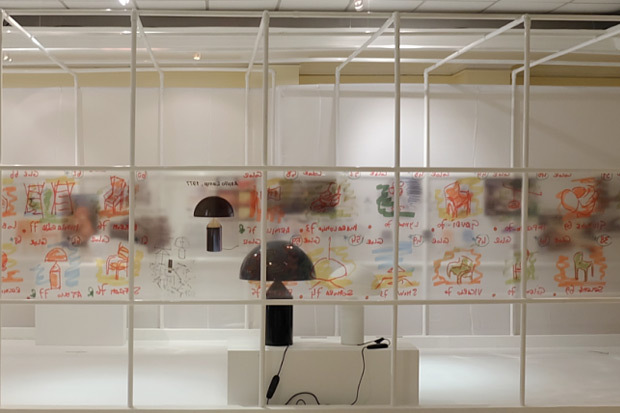 The installation, hosted by the Italian Institute of Culture in Jakarta, “recreates” Magistretti’s studio in Milan, turning the spotlight on the creative path followed by the designer and architect through a collection of his sketches, photographs notes, letters and faxes and a selection of his most important works. These naturally include several examples of the Atollo table lamp, designed in 1977 for Oluce and now considered an archetype of the lighting world. Indeed, for over twenty years of his career, Vico Magistretti was tied to Oluce by a close friendship and working relationship, designing some of the brand’s most famous icons from the 1970s onwards, and working as the company’s Art Director.